The romaine lettuce E. coli outbreak first announced in October has sickened nine more people, bringing the total to 52 people across 15 states, the Centers for Disease Control and Prevention (CDC) said on Thursday. The latest numbers come a week after health officials declared that some forms of romaine lettuce are now safe to eat in light of the results of an investigation, which indicated that romaine lettuce from northern and central California is the likely source of the outbreak. Although the CDC believes it’s identified the region in which the outbreak originated, the agency said it hasn’t identified a “common grower, supplier, distributor, or brand of romaine lettuce” linked to the outbreak. The most illnesses tied to E. coli outbreak have been reported in New Jersey and California, with 11 sickened in each state. The tainted lettuce has sickened seven people in Michigan and six each in New York and New Hampshire. Other states where illnesses have been reported include Connecticut, Florida, Illinois, Louisiana, Massachusetts, Maryland, Ohio, Pennsylvania, Rhode Island, and Wisconsin, according to the CDC. Nineteen people who fell ill were hospitalized, where two developed a type of kidney failure called hemolytic uremic syndrome. 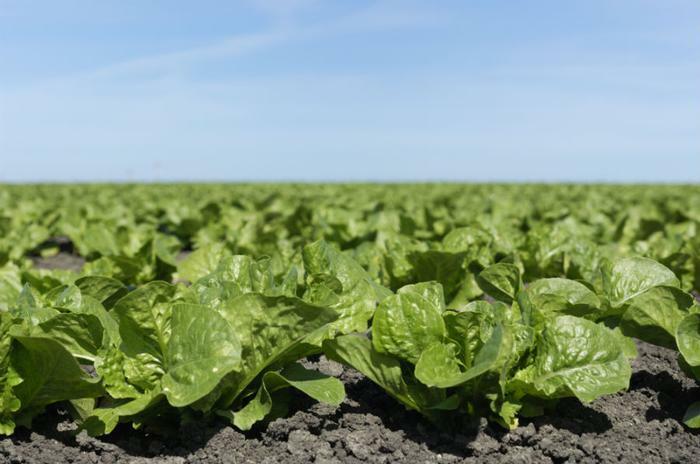 The agency says it has started labeling lettuce that has been deemed safe for consumption with a special label noting its harvest location. The CDC urges consumers to check for those labels to confirm that the product wasn’t harvested in the central coastal growing regions or northern and central California. "If the romaine lettuce is not labeled, do not buy, serve, sell, or eat it," the CDC said. Consumers are also advised to throw out any romaine lettuce that is in their refrigerator if they’re not sure where it was harvested. The illnesses linked to the current strain of E. coli began in October. This strain is different from another linked to tainted romaine lettuce that occurred earlier this year, but it is similar to one that occured last year, public health officials said. The one that occurred earlier this year killed five people and sickened more than 200 consumers in 36 states. It was eventually linked to contaminated canal water in Yuma, Arizona.